UPDATE: 6 SPOTS ALREADY SOLD! This workshop is dedicated to advanced photography techniques. If you have trouble setting your exposure this workshop is not for you. This workshop is for seasoned photographers that want to create tension and dynamics with lighting, composition, body language and expression. Photographers that want to learn how to shoot emotionally instead of technically. Photographers that want to learn how to shoot editorials that editors are looking for. This workshop isn't for the faint of heart. I'm going to review your frames and I'm going to be critical of your flaws. And you are going to learn to shoot better. 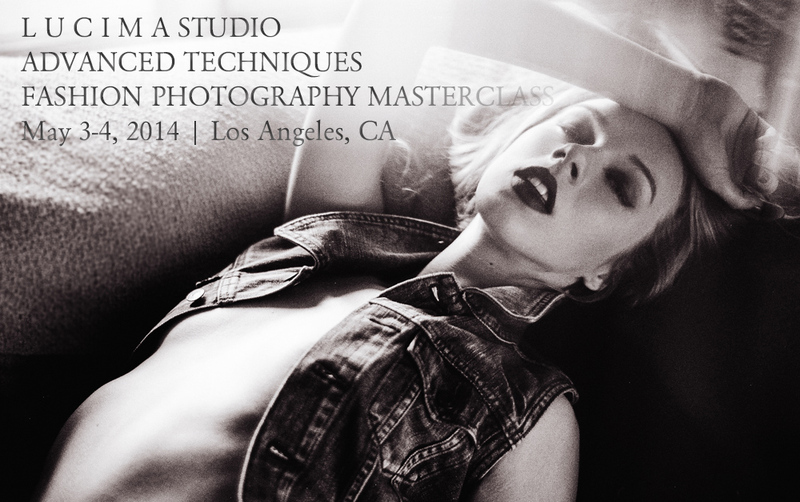 This workshop will also cover advanced retouching techniques. Techniques that generate the images you see above along with Destination MARS for TREATS! Magazine, Cascade on bentrovatoblog and Kate Compton for TREATS! Magazine. These are the subtle yet powerful retouching techniques that create stylistic consistency. Consistency that allows you to shoot across different mediums/cameras but still be unified under a single recognizable style. A style that is clearly yours and not someone else's. There will be a maximum of 3 photographers per 1 model. Fee: $999 if registered before April 18th. $1199 thereafter. Click below to register! Fee: $1474 if registered before April 18th. $1674 thereafter. Click below to register! -Keeping the workshop small for more one-on-one attention. I will cap the attendance at 12. A: That depends. The best airport near the studio would be Burbank (Bob Hope Airport) but there is a limited # of flights in and out of Burbank. Next probably LAX or Ontario. Ontario Int'l Airport is 29 miles and smaller so it's easier to get in and out of. Then you have LAX (a huge hub) is 37 miles away. For Laguna Beach (Orange County) there is the John Wayne Airport. A: For those registered for the 3-day workshop we will be shooting on location. Location will be provided upon registration.